Bracket had the wonderful opportunity to volunteer for Cradles to Crayons (C2C), a charity that provides children from birth to age 12, living in low- income and homeless situations, with the essential items they need to thrive – at home, at school and at play. 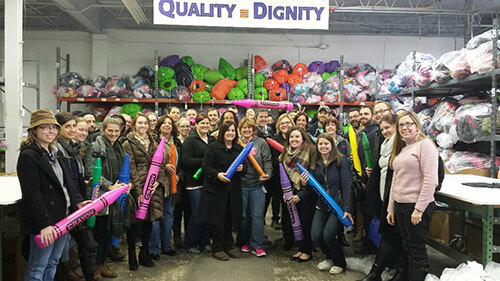 Through their Giving Factory, they provide donated clothes, shoes, books, school supplies and much more to children in the Boston and Philadelphia area. The Bracket volunteers rolled up their sleeves and sorted through newly donated clothes; assembled custom KidPacks by “shopping” through C2C’s inventory; and created greeting cards to welcome children back to school for upcoming school year. Not only was it a great experience for Bracket to collaborate with colleagues outside of the normal work environment, but it was also especially rewarding to help C2C continue their amazing work to help children in need. Last year, C2C provided, free of charge, packages of clothes, shoes, books, toys, baby safety equipment and school supplies to 87,000 children in Massachusetts and the Philadelphia area. 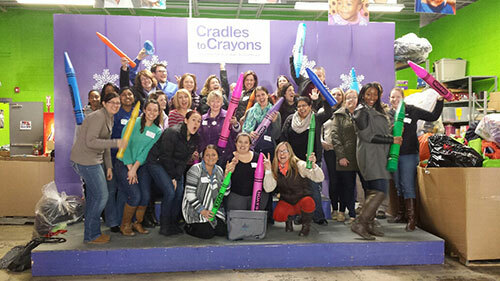 To find out more about Cradles to Crayons and how you can volunteer, click here.